All-access spectator passes $30 at the gate, cash only. Kids under 16 free. 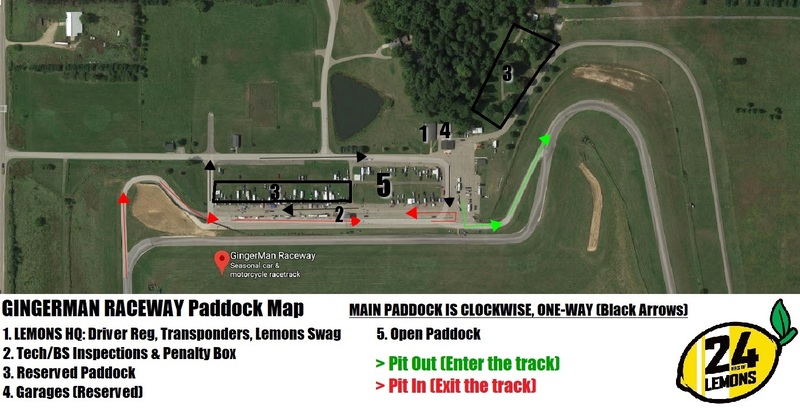 3pm-11pm: Gates open for early arrival and setup. Details TBA. 8:30am: Drivers meeting for those driving in Gingerman's Open Test Day. 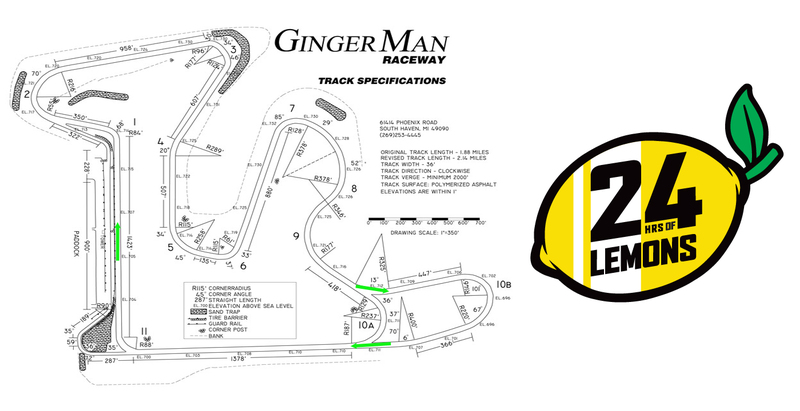 9am-5pm: Friday testing hosted by Gingerman. $200 per car. Details and signup at this link (TBA). Testers must pre-register. 10am-12pm: Gingerman Quiet Time - NO RACE MOTORS. Electrical hookups: Yes. $TBA/day. Email Gingerman directly for info and reservations.